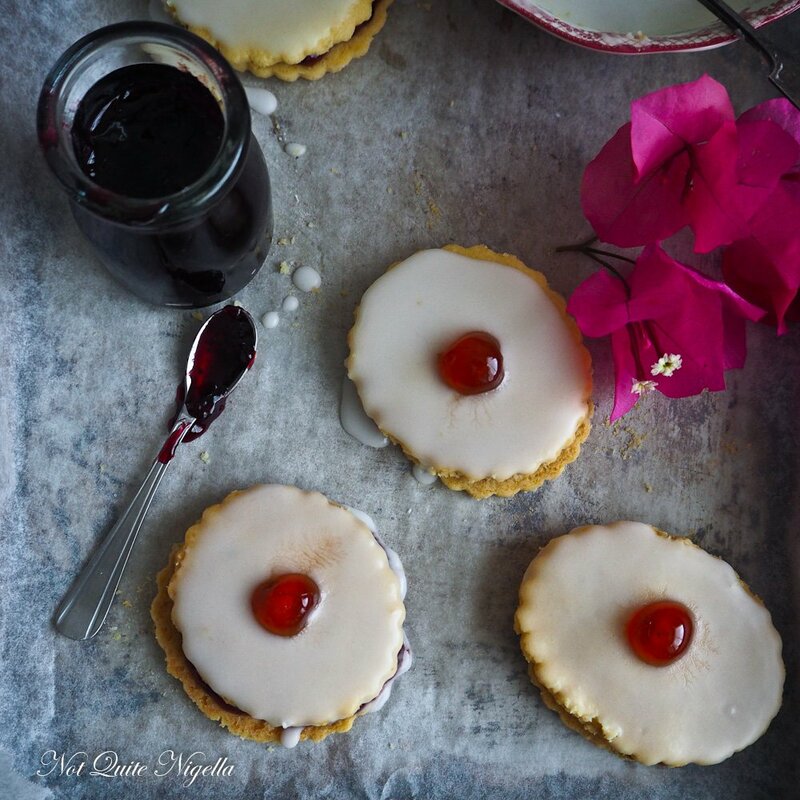 A double layered shortbread biscuit or cookie, the Empire biscuit is a delicious, buttery morsel wedged with raspberry jam and topped with white icing and half a glace cherry. I first saw these in Scotland where they are very popular. 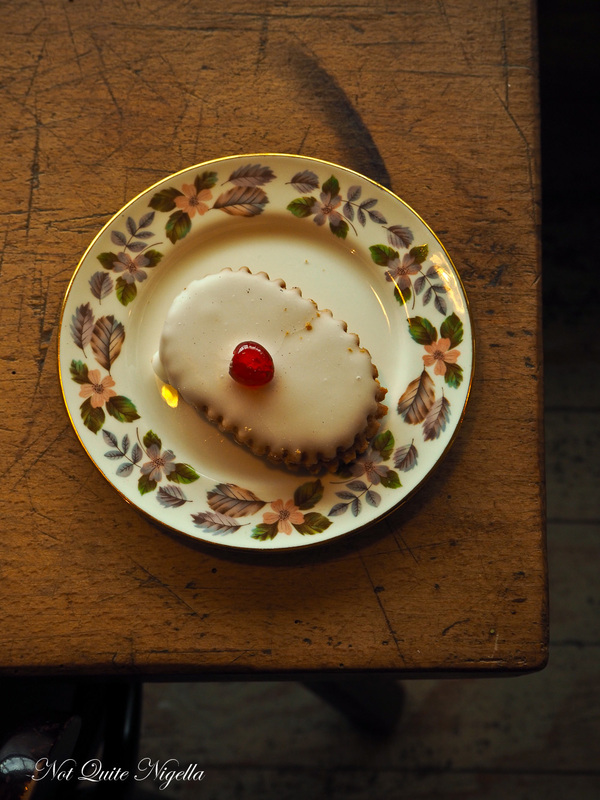 Originally named the Linzer biscuit, the outbreak of World War I saw these change their names to reflect a more patriotic tone. During my recent trip to Scotland, we stayed at a beautiful lodge on the edges of Loch Lomond. It was snowing outside and any well intentioned plans to go on an outdoor loch ride were quickly nixed when the very strapping Scottish gent that was leading the tour sat us down and regarded us seriously. "It is brrrutal outside," he said and then added as he looked at us bundled up and shivering indoors. "You're going to hurt...". So we scrambled back into our cozy rooms and spent the next few hours catching up on works and or naps or reading or whatever it is that travel writers do (work and a bath for me). One funny thing occurred at this hotel though and it was only later that evening when we went for drinks that we realised that everyone was in a different style of room. Now everyone in our group of seven writers was very nice and there weren't any divas but human nature is one where you will inevitably wonder if someone has a different, better or worse room. "My room is really small," said one writer from Brazil. "My room has several rooms to it," said one of the hosts. So after dinner like a Goldilocks and the Three Bears we went around to see everyone's room. The host was mortified to learn that she had unwittingly been given the biggest room. The Brazilian writer had been given the smallest and we were all given a mixture of in between. I was really happy with my room - it was cozy and had a raised area that we had all dubbed the "stage area" but I must admit that I made love heart eyes when I saw another writer's bed which was enough for three people to lie in while others expressed a desire for other people's rooms. But once our heads hit the pillow I think we all ended up loving our rooms. Anyway, after we left that hotel we stopped by a place where I saw these Empire Biscuits. Having never seen one before my trip to Scotland, I did a double take. It was just do damn pretty. 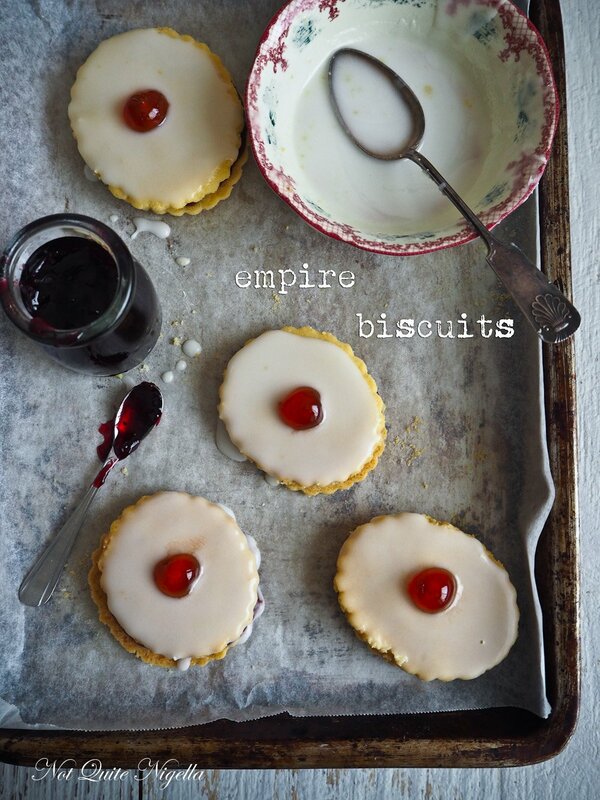 An Empire Biscuit is two layers of shortbread sandwiched with raspberry jam and topped with icing and half a glace cherry. It is a relation to the Belgium Biscuits (I know, they're called Belgium but technically should be called Belgian, please address all angry mail to the Prime Minister). 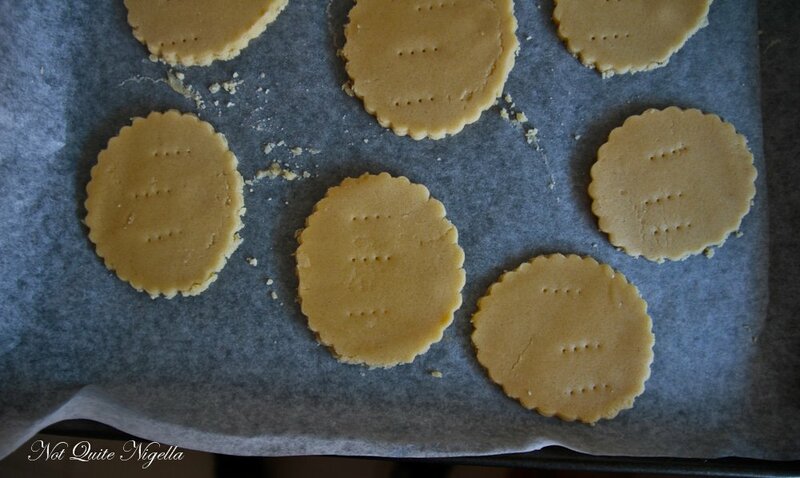 The original Belgium biscuits I made were more like a regular biscuit or cookie than a shortbread so since I found these in Scotland, I decided to go with the shortbread theme and make them as short and buttery as possible. It makes them a little more delicate (although none broke) as I rolled them quite thinly because they were double layered but they were so buttery delicious. And as always biscuits or cookies are, they are the perfect accompaniment to a cup of tea or coffee! So tell me Dear Reader, would you be curious to see everyone else's rooms? Do you like taking a peek into people's houses? Which room is the most interesting? I love looking at kitchens! And when it is snowing, would you rather snuggle indoors or brave the elements for adventure? Step 1 - Beat the butter and sugar together in an electric mixer for a few minutes. Add the two flours, cinnamon and salt on the lowest speed and mix until combined. Shape into a flat round and cover in cling film. Rest for an hour in the fridge. Step 2 - Preheat oven to 160C/320F and line two baking trays with parchment. 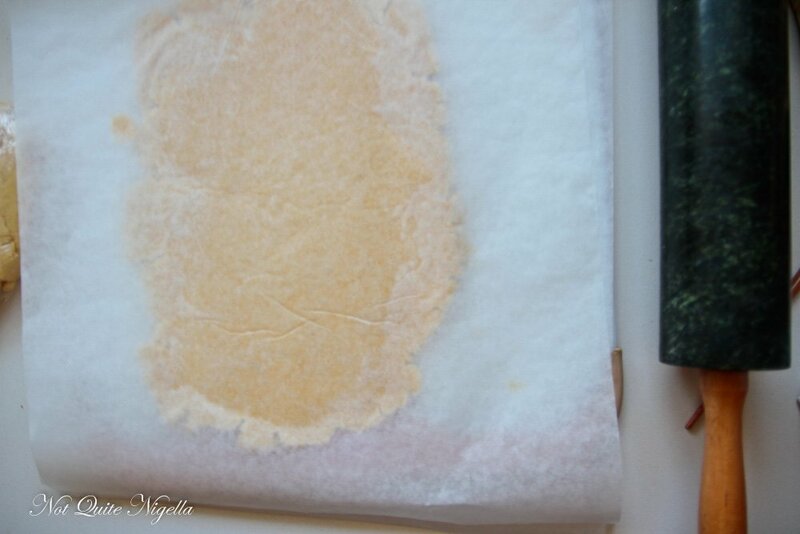 Take two sheets of parchment and remove the cling film from the dough. Roll it out between the parchment sheets. As this is a double decker biscuit you don't want them too thick but you don't want it too thin because it is shortbread and crumbles easily. Use a fluted oval cutter (I used a round one and rolled it out a little to become an oval shape). Carefully place on the prepared trays and prick a few times with a fork. Refrigerate for 15 minutes. Step 3 - Bake in preheated oven for 12-15 minutes (the exact time depends on how thick you've rolled them) and you want them set but not very browned. Cool on tray for 5 minutes and then gently remove onto a cooling rack to cool completely. Step 4 - Sift the icing sugar and add enough water to form a simple icing. Match the biscuit sides together for similar sizing and then spread one half with raspberry jam and then dip the other half in the icing. Top with ahalf a glacé cherry. recipeGrandma's Best Pistachio Biscotti Recipe! 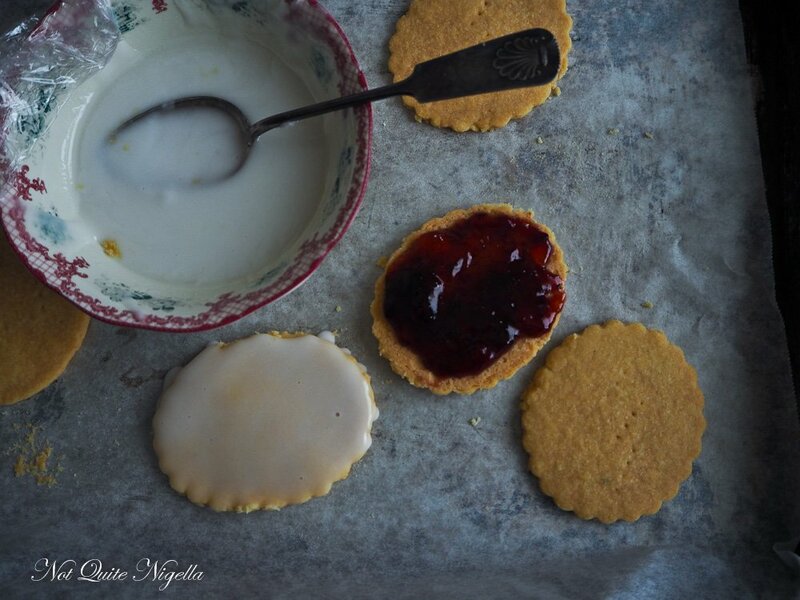 recipeBake your Day With These Romany Cream Cookies! recipe Grandma's Best Pistachio Biscotti Recipe! 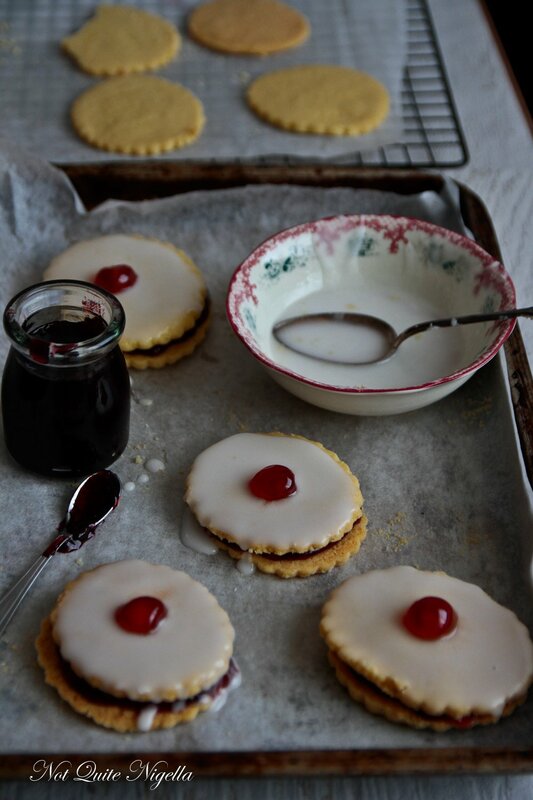 recipe Bake your Day With These Romany Cream Cookies!